Have you had an ac capacitor replaced? 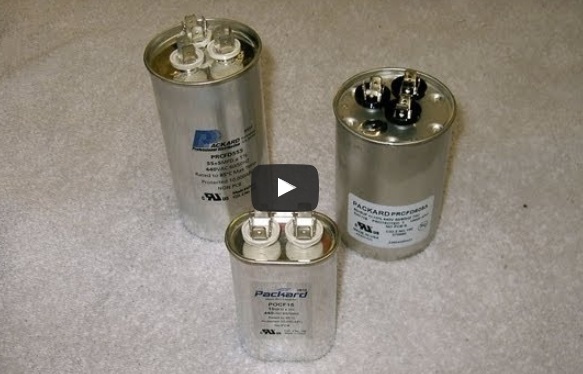 Did you ever wonder what makes an HVAC capacitor go bad? Did you think to ask how can I tell if the air conditioning capacitor has failed? or Is my air conditioner repair person really telling me the truth? Well here’s a quick video showing one symptom of a bad air conditioning capacitor that would be obvious to just about anyone. this is only one type of failure for capacitors and not all bad capacitors will look this way, but this is a sure sign that the capacitor is bad. For more information about how to check for other types of failures, see our other video on checking a capacitor with a multi-meter. At this point we should warn you that never touch an air conditioner capacitor on your own. They hold a charge that can be released instantaneously and are a serious shock hazard. Suspect you have a bad capacitor? Call Alexander Heating and Air Conditioning.